The Hospitality Services Program prepares students with the necessary skills for culinary and management positions in the hospitality industry. Our students will learn quality cooking and managerial skills, with emphasis on food selection, preparation, and customer service. 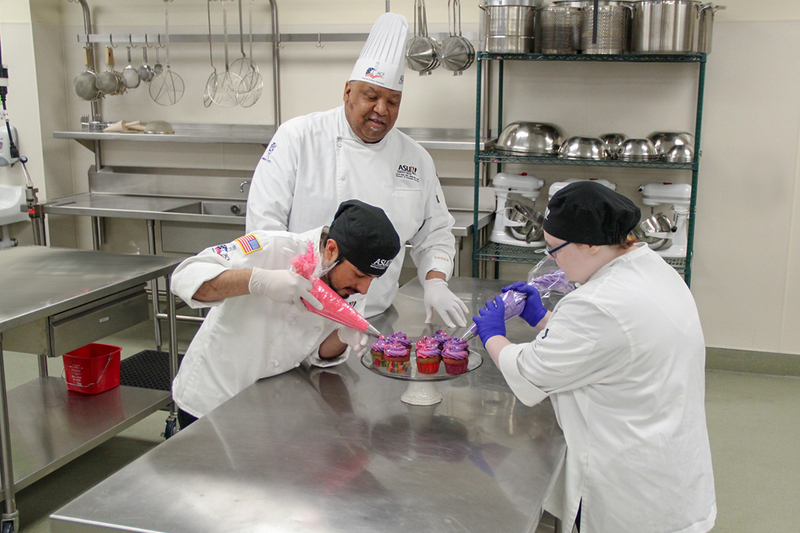 Students will be prepared to work in a variety of food service businesses such as restaurants, schools, hospitals, and hotels. Have you found your starting point? Apply to the Hospitality program today. ASU-Newport is proud to partner with the Fowler Family to offer a scholarship to students seeking a degree in the Hospitality Services Program. Each academic year, Arkansas State University-Newport will award 2 scholarships to students in the Hospitality Services Program: One Technical and one Associate degree seeking. Apply for the Scholarship today!